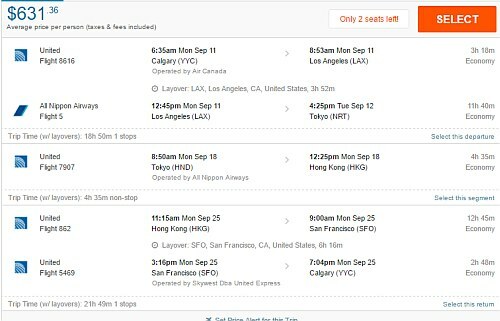 United Airlines is showing 2-in-1 flights that allow you to spend time in both Tokyo, Japan and Hong Kong for $631 CAD roundtrip including taxes. NOTE: Most of these flights are operated by United Airlines, but some of the overseas flights are operated by ANA in at least one direction. 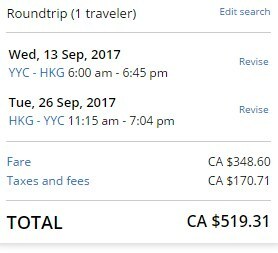 Update 8/24 - There are still a few really cheap flights from Calgary to Hong Kong out there today for around $519 CAD roundtrip including taxes. 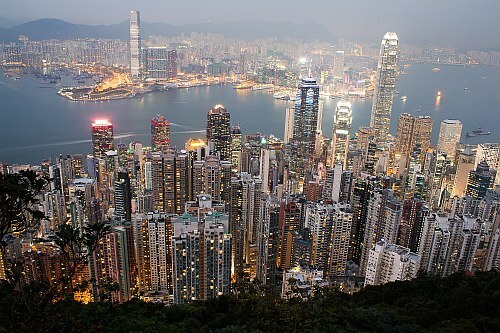 Look for the dates that are in the low $500s roundtrip. NOTE: I've been seeing issues today with clicking through from Google Flights to the United Airlines website for these flights. 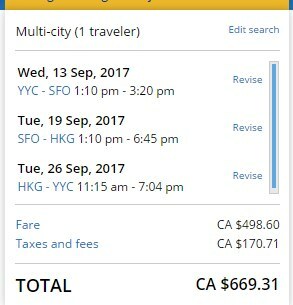 You may need to go to the United Airlines website directly and search for the same dates.